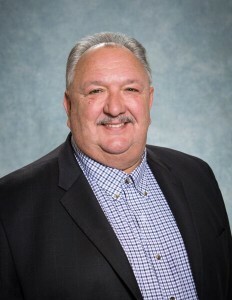 Bob Kolada - Wolverine Energy Services Inc.
Bob Kolada has 37 years’ experience in brine, disposal and storage well operations, drilling, completions, cavern development and cavern mechanical integrity testing. Bob has extensive experience in Environment, Health and Safety and Alberta Energy Regulations procedures, rules and directives as it applies to all facets of well and cavern work. Bob commenced his career at Dow Chemical in Fort Saskatchewan Alberta in 1975 starting in construction and maintenance and then Dow production support group. In 1978, Bob joined Dow full time and became a distillation operator in the Glycol and Amines production plant. Bob then moved to an administrative role in Environmental Health and Safety and he then accepted a role in the Dow Chlor-Alkali production plant with responsibilities in brine and disposal well operations, maintenance and drilling and completion of new brine wells. Bob then was transferred to the newly created Wells Group and took on the additional responsibility of the site hydrocarbon storage wells maintenance and drilling of new storage caverns. In a few years, Bob became the Dow Wells Technical Advisor for all Dow Wells in Fort Saskatchewan Alberta. Bob joined Wolverine Energy Services Inc. in January 2015 as a Senior Project Coordinator.